Determine a 3 — 4 week time period for the campaign. Schedule and announce a presentation by United Way and agency staff — preferably in conjunction with a staff meeting, to ensure good attendance. Offer refreshments. Set a worksite goal and post a thermometer marking progress. Secure Company match for employee donations. Distribute pledge forms and brochures to all employees via paychecks, employee mailboxes, or at a meeting. Include memo from Campaign Coordinator and/or CEO encouraging participation. Offer incentives for early pledges, first time donors, prize drawings for all donations, etc. Hold friendly competition between departments. Hold friendly competition between similar workplaces. Hold special events to raise additional funds from those not interested in payroll deductions - car washes, pie contests, can drives, etc. Remind employees a week before deadline and at deadline. Collect pledge forms, checks, and cash. 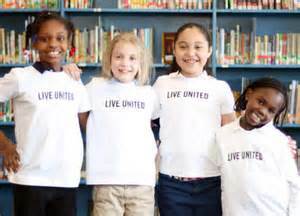 Send with report form to United Way. The Beaufort County United Way believes that the most responsive contributors are those who are informed and involved. A well-planned campaign with an effective communications program that is run by committed volunteers will ensure responsible contributors. Fundraising should always be conducted in a voluntary manner, without pressure. Giving is a personal decision and coercion is unacceptable to United Way.